John Holly, 22, M, MO, Works on Farm. Martha Culpepper, 2, F, TX. Biography* � There is a question about Mary Ann Culpepper's date of birth. The tombstone of Mary Ann's mother, Mary Ann (Guthrie) Culpepper in Mt. Olive Cemetery, Lavaca Co., TX records a death date of 1861 which means either that her mother's date of death is incorrect or that Mary Ann's date of birth 13 Mar 1862 is incorrect. Census records are not very helpful, Mary Ann was listed as nine years old in the 1870 census but as 18 years old in the 1880 census. Mrs. C. M. (Pat Burgin) Lee preserved the following marriage record: W. J. Thames To Mary Ann Culpepper The State of Texas__To Any regularly ordained Minister of the County of Lavaca____Gospel, Judge or Justice of the Peace, Greetings You are hereby Authorized to solemnize the rites of matrimony between W. J. Thames, And Mary Ann Culpepper join them together in holy bonds of wed lock, And for so doing this Shall be your warrant; And due return of this writ made to this office as the law directs, __________Given under my hand And official seal at office __________in Hallettsville this 21st day of Decr AD 1877 ____________________W W Allen Clerk County Court Lavaca _____[seal]______________________County Texas, Executed the 23d day of Decr, AD 1877 by joining in the holy bonds of matrimony W J. Tames and Mary Ann Culpepper ____________________D E Hicks J.P.L.C. Filed Jany 24, 1878 ___________________W W Allen Clerk, C.C.L.C. Lavaca Co., TX: Mary Ann Culpepper and W. J. Thames, 23 Dec 1877, Book II, p. 208. E-mail written 2003 to Mary Brownyer from Weldon Clark, e-mail address. E-mail written 2003 from Mary Brownyer, San Diego, CA, e-mail address. Biography* � Eglentine was named after her grandmother and she was listed as "Tina" in the 1880 census and as "Tiny" in her father's will. A mystery Eglentine appeared in the 1870 census in the James L.Culpepper household. This Eglentine was one year old and born in Texas which would match James L. Culpepper's daughter, Virginia Bell. Perhaps she was originally named Eglentine. Daniel did not remarry until 1872 and his daughter, Eglentine, was listed as seven years old in the 1880 census and so cannot have been the Eglentine listed in 1870. Gibson Grant, M, 21, n/a, S, Farmer, AL NC NC. Biography* � Mrs. C. M. (Pat Burgin) Lee obtained a copy of the Lavaca Co., TX marriage record for "Rufus Baucom" and "Blanche Culpepper." They obtained a marriage record 14 Nov 1891 and were married by "J. E. Hicks J.P." 15 Nov 1891. Mrs. James L. (Vivian Hastings) Culpepper recorded the following the following from a tombstone in the Mt. Olive Cemetery in a 24 Sep 1978 letter: _________________________Mrs. Blanche Baucum _________________________Mar. 19, 1874 _________________________Aug. 26, 1892 _________________________18 yr.-5 mo.-7 day. Lavaca Co., TX: Blanche Culpepper and Rufus Baucom, 15 Nov 1891, Book III, p. 269. John H. Henderson, Vister, M, Jun-1847, 51, md-15, MD MD MD, Farmer. Biography* � Francis was known as "Frank." Frank was listed as "Francis" in the 1860 and 1870 census. He was listed as "Frank O. Culpepper" in the marriage record and he was listed as "Franklin Olin Culpepper" on the "Delayed Birth Certificate" of his son, C. V. Culpepper. But Mrs. R. (Joyce Culpepper) Organ wrote 28 Jul 1978 that her grandfather's name was listed as "Francis Orren Culpepper" in her grandmother's Bible. He was probably named for his two grandfathers, Francis G. Culpepper and Orin Guthrie. Joseph Culpepper, 1, M, TX. Cynthia Culpepper, 26, F, TN? William Culpepper, 2, M, TX. Lavaca Co., TX: Frank O. Culpepper and E. J. Richardson, 12 Dec 1877, Book II, p. 204. Cornelius Vanderwate Culpepper, Comstock, Val Verde Co., Texas, age 38, born 20 Apr 1880, White, Mechanic for self at Comstock, Val Verde Co., Texas; Nearest relative: Mrs. C. V. Culpepper, Comstock, Val Verde Co., Texas. Medium height, Medium build, Blue eyes, Black hair, no disabilities. Registered 12 Sep 1918, Del Rio, Val Verde Co., Texas. John Orren Culpepper, 36, of Caviness, Lamar, Texas, born 14 May 1882, Caucasian, Farmer at Caviness, Lamar Co., Texas. 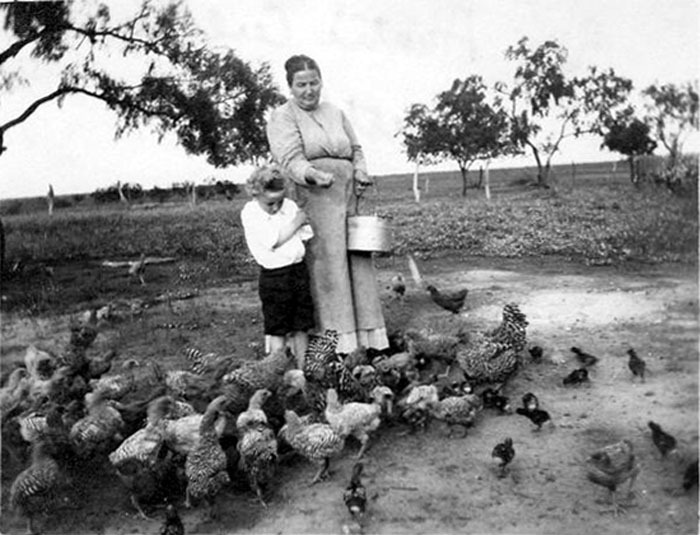 Nearest Relative: Mrs. F. O. Culpepper of Caviness, Lamar, Texas. Medium height and build, blue eyes, dark hair, right hand crippled. Registered 12 Sep 1918 at Paris, Lamar Co., Texas. Darius Ivan Culpepper, 34, of Falls City, Karnes Co., Texas. Born 15 Jul 1884, Caucasian, self-employed as a mechanic. Nearest Relative: Mrs. Elfie Culpepper of Falls City, Karnes Co., Texas. Medium height and build. Brown eyes and hair. No disabilities. Registered 12 Sep 1918 in Kenedy, Karnes Co., Texas. Lola Culpepper, Daughter, F, 17, S, TX TX AL. Ida Putman, Dau, F, 10/12, S, TX TX TX. C. V. Earwood, Nephew, M, 5, S, TX TX TX. J. O. Culpepper, Lamar Co., Jun 3 1924, 20718. Eliza J. Culpepper, Mother-in-Law, F, 72, M, md@19, AL AL AL. Eliza Jane Culpepper, Lamar Co., Dec 18 1935, 57950. Lavaca Co., TX: B. F. Culpepper and Johnie Cudd, 16 Nov 1892, Book III, p. 402. M. D. Clark, Neph, M, 28, S, TX TX MS, Mgr-Hotel. Johnnie Culpepper, Head, F, 60, WD, MS MS GA, Mgr Hotel. Mike? D. Clark, Nephew, M, 48, S, TX TX TX, Carpenter-Bldg. Johnnie Culpepper, Uvalde Co., Dec 24 1932, 55221. Lavaca Co., TX: Joseph W. Culpepper and Laura A. Culpepper, 25 Jan 1893, Book III, p. 432. George Gorman, Laborer, M, May-1878, 22, S, TX UN UN, Farm Laborer. R. Theidor Jones, Boarder, M, 63, wid, GA GA GA, Teacher-PubSchool. Laura Culpepper, Wife, F, 60, M, TX US US. Bartlett Culpepper, Son, M, 11, S, TX TX TX. David B. Culpepper, Son, M, 22, S, TX TX TX. Joseph W. Culpepper died 11 Apr 1942 in Wilson Co., TX. L. A. Culpepper, 1862 – 1950. Egletine Culpepper, 1, F, TX. Reuben C. Culpepper, M, 1, Son, S, TX AL MS.
Margaret Culpepper, 14 Feb 1841, Coffeeville, Miss – 14 Apr 1931. J. L. Culpepper, Wilson Co., Aug 29 1922, 24962. Louis J. Williams, The Harbours in America, 7904 Joliet Ave, Lubbock TX 79423: The Harbour / Witt Family Association, 1982.
p 99; location Dorothy Nash Roberts Ancestor Chart. Margret Culpepper, Wilson Co., Apr 14 1931, 21409. Laura Alice Culpepper died 9 Aug 1950 in Wilson Co., TX. Biography* � Eliza Jane was known as "Sissy." Mrs. R. (Joyce Culpepper) wrote 28 Jul 1978: Aunt Sissie and Uncle Jim lived for many years and brought up their family in Falls City, Texas.... After Uncle Jim died Aunt Sissie came to live with Cousin Alice here in San Antonio. She was an invalid by that time. Biography* � Cynthia Ann was listed as "Tommie" in the 1880 census. Presumably the family used the nickname to distinguish her from her mother. Lavaca Co., TX: C. A. Culpepper and Robert S. Walker, 28 Dec 1880, Book II, p. 536. William G. Culpepper, Head, M, 41, Div, TX US TX, Stockman-Stock Ranch. William G. Culpepper, died 2 May 1954 in Live Oak Co., TX.